About this book: According to the standard interpretation, Hobbes argues that subjects have binding political obligations because the sanctions for non-compliance provided by the law give them sufficient reason to obey. This view comprises an account of law and a theory of political obligation. The standard interpretation considers that for Hobbes the characteristic feature of law lies in its causal capacity to compel subjects to obey by the use of physical force or the threat to use physical force. In turn, this reading states that subjects are bound to obey the law because so acting best promotes their rational self-interest. 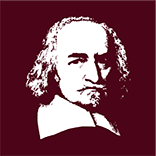 Hobbes on Legal Authority and Political Obligation challenges this reading, and develops an alternative interpretation of Hobbes’s theory of political obligation. According to the account developed in the book, the directives issued by the sovereign introduce authoritative requirements, so that the subjects are morally obligated to obey them. Noel Malcolm’s magnificent edition of Leviathan features a one-volume introduction and two volumes of Leviathan, with the 1651 English and 1668 Latin versions printed side-by-side. All reviewers agree that this edition is a superb achievement. David Runciman praises ‘Malcolm’s extraordinary scholarly range and precision’ – scholarship ‘of the highest level’, writes Rachel Foxley, leading Deborah Baumgold to coin a new adjective: ‘Malcolmian’. This edition is an ‘immense improvement on the nineteenth-century Molesworth collections’, she adds. Blair Worden describes Malcolm’s edition as ‘a glory … that sets quite new standards of editorial scholarship’. John Gray calls it ‘an astonishing achievement of the highest scholarship’. Patricia Springborg ‘cannot imagine that this edition will ever be technically surpassed’, although she does suggest that the 2003 Schuhmann and Rogers edition of Leviathan has more merits than Malcolm implies.